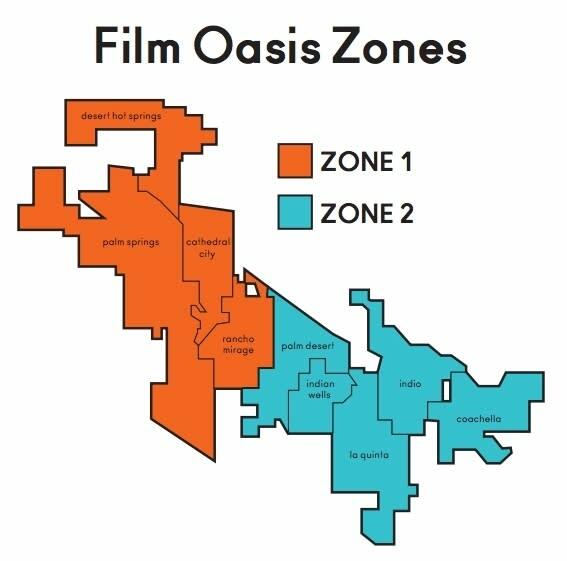 Greater Palm Springs Film Oasis has developed this incentive program with the goal of encouraging media production in the Coachella Valley. The program is available for Unscripted Television, Commercials, and Still photography shoots, in addition to Scripted Television and Feature Films. The Bureau is committed to fostering the already film-friendly atmosphere in the Coachella Valley and has committed a total of $100,000 per year to this program. Below you will find all the information you need on our incentive program from, what productions qualify, to answers to common questions. Q: Is the program available throughout the year? A: Yes, but please note that our fiscal year runs from July 1 – June 30. Once we have awarded all $100,000 you would need to wait until the beginning of the next fiscal year to access a new fund. Q: Which types of Productions Can Qualify? A: The incentive is available to Feature Film, Scripted Television, Unscripted Television, Commercials, and Still Photography Shoots. The production must depict Greater Palm Springs in a way that encourages tourism to the area. Q: What does the incentive provide? A: The incentive provides a cash rebate on permits, lodging and meals to qualified productions, which is capped at a maximum of $5,000 per project. Q: How does a production qualify? A: Productions qualify by spending a minimum of $25,000 in permits, lodging and meals in the “Incentives Zones.” The production must also depict Greater Palm Springs in a way that encourages tourism, a committee at Film Oasis will review each application to make that determination. Productions are encouraged to send scripts, sizzle reals or storyboards to help make that determination. Q: Where are the Incentives Zones? Q: Is there a limit on funds available for the incentive? What happens when the funds run out? A: There is a limit. Currently, there are two separate funds for incentives, for the two different zones. Each fund will provide up to $50,000 total over the course of the fiscal year. Projects are qualified on a first come, first serve, basis until all available funds have been utilized for the year. Q: What costs are reimbursed? A: Permits, lodging and meals. Q: How do we collect the incentive reimbursement? A: After you complete your production, fill out the Media Production Incentive Application and send it to the Film Oasis office. A committee at Film Oasis will review the application and confirm you have met the above criteria within one week. Upon confirmation, Film Oasis will provide a rebate check for $5,000. Reimbursement may take 3-4 weeks. For more information, contact Michelle Rodriguez mrodriguez@gpscvb.com.